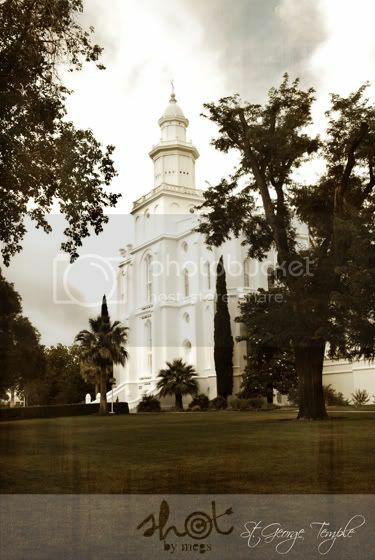 Because my St. George Temple picture has been a hot item for Relief Society projects, I have decided to make it a package deal. I will mail you twenty 8x10 prints for $100. Or if you would like 16x20 size you can get 20 mailed to you for $240. Next week I will be posting step-by-step instructions make your own temple picture like the ones you see that are $200 each! Do you have any of the Mt. Timp temple? I will be getting one by the end of October! I will update as soon as I get it.